Babywearing Benefits—Plus, Enter To Win The Entire SS18 Solly Baby Collection! If you’re an expectant or new mother, “babywearing” is something that you’ve either heard about or are actively engaged in. 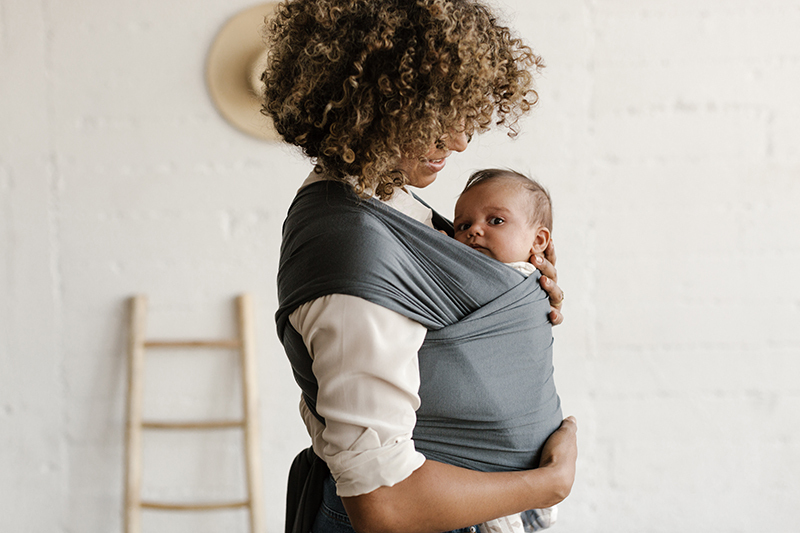 Defined as “the act or practice of keeping an infant close to an adult’s torso by using a supporting device that straps to the front of the adult’s body,” babywearing is something attachment parenting advocates (hi, Dr. Sears!) swear by. And even if you’re not a fan of attachment theory, there’s no mistaking how convenient strapping on your baby and going about your day can be. 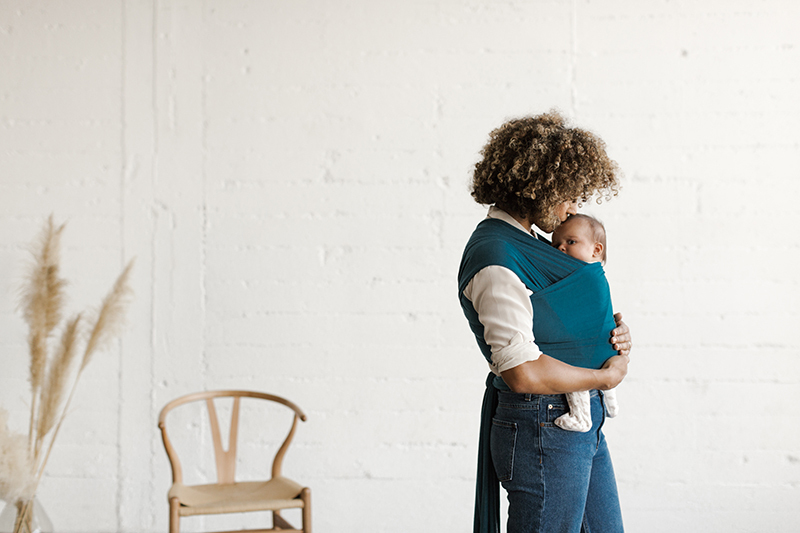 To hear some more benefits of babywearing, we asked the experts over at Solly Baby to sound off on the practice and how it can serve both mama and baby. Bonus points: We’re combining Solly Baby’s advice with a first look at the brand’s Spring/Summer 2018 collection, which you can win—in its entirety! all 14 shades!—by heading over here and dropping your email address into a metaphorical hat. The giveaway starts now through Monday, February 26, 2018, when a winner will be chosen. Good luck, mamas! "The Journal of Obstetric, Gynecological, and Neonatal Nursing found that mothers who got six hours of skin-to-skin contact with their infant in the first week, followed by two hours a day for the next month, had fewer symptoms associated with postpartum depression. Saliva samples were taken to measure new mothers’ stress levels through the hormone cortisol. Mothers engaging in skin-to-skin contact showed lower levels of cortisol, meaning that they were less physiologically stressed. The only practical way to get that much skin-to-skin contact is through babywearing, which also helps relieve postpartum depression through the release of oxytocin, the feel-good hormone." Spring/Summer 2018 Solly Baby Wrap in Dandelion Stripe. "Wearing your little one can reduce infant crying by up to 43%. Hunziker and Barr discovered 'infants who received supplemental carrying cried and fussed 43% less overall, and 51% less during the evening hours (4 PM to midnight).' 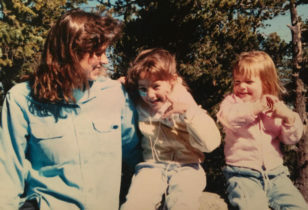 And we all know a happy baby = a happy mama." Spring/Summer 2018 Solly Baby Wrap in Orion. "If your baby has tummy issues in those first few weeks/months, wrapping them can make all this difference. When carrying your newborn in the upright, tummy-to-tummy position, the stomach and intestines are being massaged as the wearer moves their body, helping the newborn to digest their food. Swedish medical doctor and physiologist Moberg found that a boost of oxytocin not only calms and relaxes but increases activity of the gastrointestinal track and promotes digestion." Spring/Summer 2018 Solly Baby Wrap in New Pacific. "A number of studies have shown babywearing to help temperature and heart rate regulation in babies, as well as heart-beat regulation, and aiding in breastfeeding duration and success." Spring/Summer 2018 Solly Baby Wrap in Wren. "Baby wearing allows a mother to be hands-free, meaning she can strap her newborn on and go about her day, tending to herself or any other children she has. 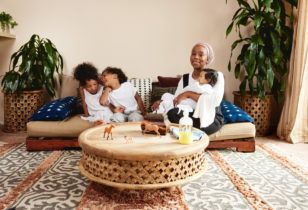 This need was actually the reason Elle Rowley launched Solly Baby in 2011, back when she had a newborn (Solomon) and two older daughters to care for." Spring/Summer 2018 Solly Wrap in Wren. "Having trouble getting your baby comfortable in the wrap? There is usually a brief period around 3-4 months where baby is learning to be more mobile and resists being carried a bit. A few suggestions: 1. Don't completely stop wearing your little one, just try it for shorter periods of time. 2. Try the Classic Carry style that gives them increased mobility. 3. Give baby a little teething toy or necklace to give a brief distraction while you're putting them in." Spring/Summer 2018 Solly Baby Wrap in Violet. Okay, ready to win all of these gorgeous wraps? Head over here today through Monday, February 26, to enter to win the motherlode—all 14 SS18 styles!